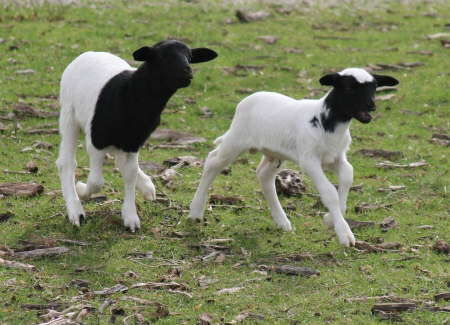 We turned the newest babies out with the flock. 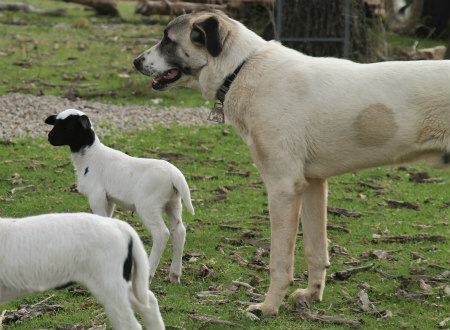 This was the first time the Anatolian puppies have had a chance to interact with them without a fence as a barrier because bouncing erratic lambs mixed with giant puppies can be a recipe for disaster. There was a lot of sniffing at first. "STOP THAT! They are NOT TOYS!!!" 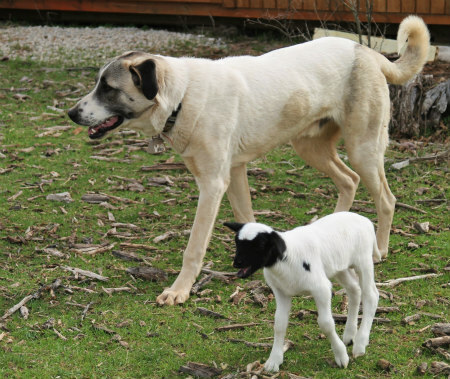 The lambs were not only curious about the dogs, but the whole world was new to them. They got so absorbed in investigating things that they'd lose track of their mothers. This led to much freaking out, and screaming, and racing around like Chicken Little in search of the mothers who had already tired of answering them 50 times already. 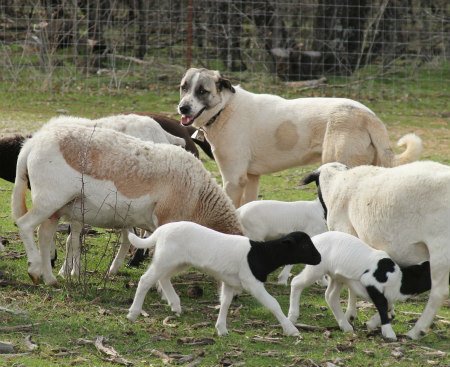 A few times the babies rushed up to one of the Anatolians for comfort, well, because they are large and white, and look kinda like a sheep, (as opposed to a tractor). This confused but delighted the pups and it wasn't long before Judge had adopted a little tyke that I have temporarily named Loud Mouth because he spent most of yesterday lost and thus screaming for his mother. Judge appointed himself as Bodyguard to Loud Mouth. 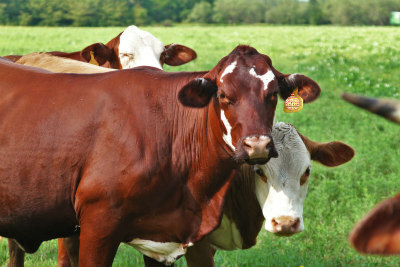 He slowly escorted Loud Mouth around until they located his mother. Then Loud Mouth dropped him like a hot potato and raced off to join his mom without a backwards glance or a thank you. Both boys did really well but Judge showed me another angle that I like to see. 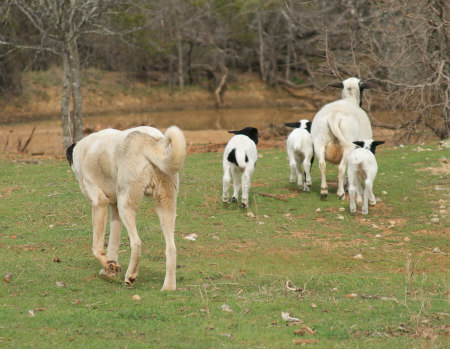 Dillon came out for a potty break, discovered the lambs and couldn't resist bowling through the flock like a bull in a china shop. No aggression, just too much curiosity going too fast. "Stop that! They're NOT TOYS!" Dillon just puttered off to pee on trees, pick up a stick, and go about his D-Dog Day. No harm, no foul. 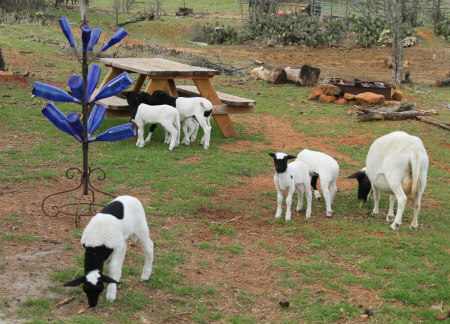 Judge stayed with the lambs and then did an inventory. I was really, really pleased with the way these 8 month old pups behaved. Briar gave them little or no guidance. 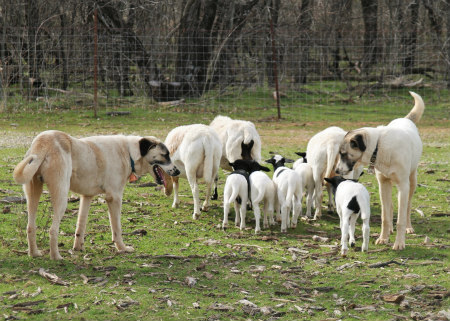 She casually sniffed the lambs herself, but otherwise just sat back and watched the boys amble around with them. Loud Mouth got her attention a few times because he's, uhhmm - a loud mouth! He called every predator in three counties. 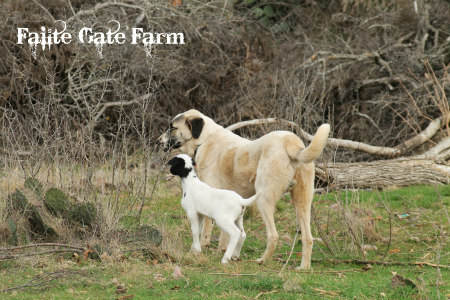 Fortunately out of three Livestock Guardian Dogs, someone would assume the role of bodyguard to walk with him until he found his mother. 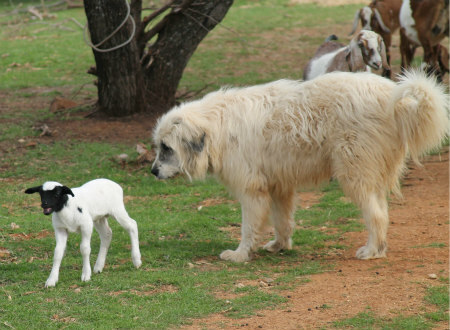 Once again I'll say this, if you have a farm and don't have a Livestock Guardian Dog, what are you waiting for? 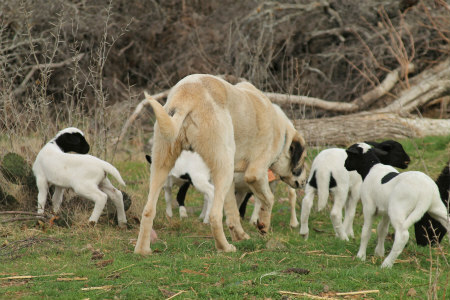 30 th year with livestock dairy goats in particular. 26 th year with LGD. Cannot even begin to imagine life without them. First and foremost for the guarding part but also for the other little things they do. 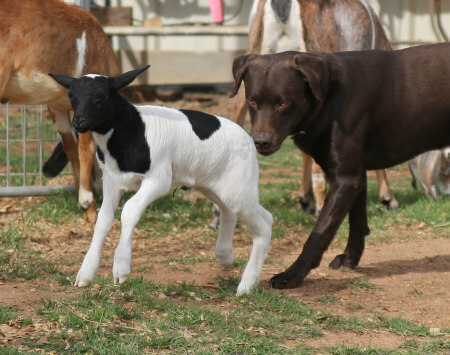 Like "babysitting a lost kid or that lamb with a big mouth " until Mom shows up. You couldn't pay me enough money to give up Sherman and Yarrow or the three that came before them. 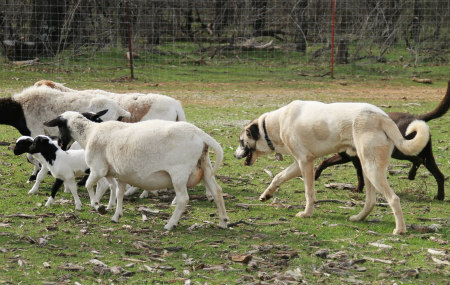 We sold one of our Katahdin rams Saturday and were loading him up for delivery. Stas (rhymes with gosh) the Polish Tatra LGD came over to say hi to his best buddy and they touched noses for a minute. Of course I didn't have a camera.